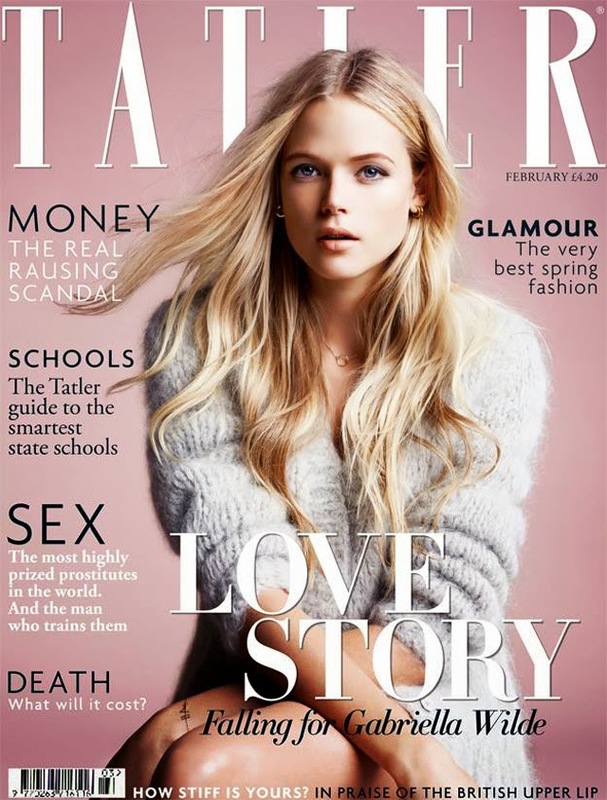 Actress Gabriella Wilde covers Tatler UK for February 2014 making casual wear look way too easy. I mean seriously, imagine if all of us looked this good throwing on a chunky sweater and some bed head hair. Some people have all the luck. That being said, this is a testament to the idea of less is more. Gabriella Wilde looks absolutely stunning in a simply chunky knit and natural makeup.